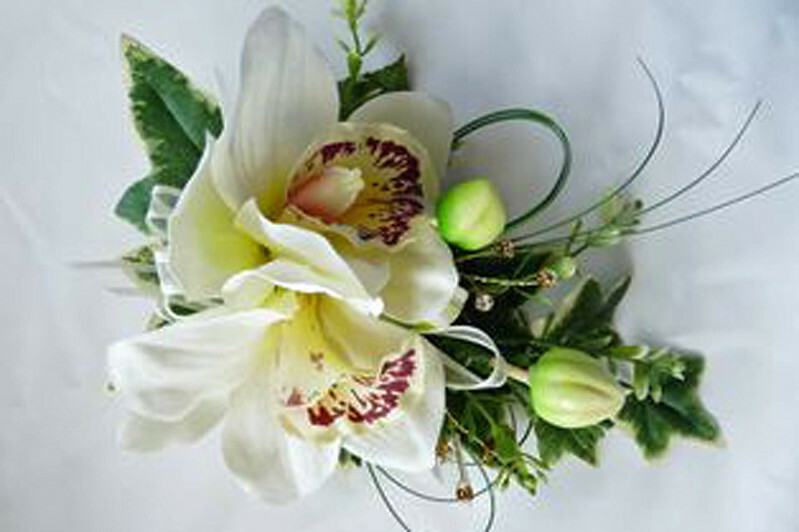 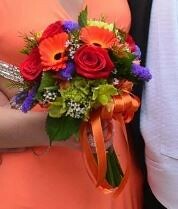 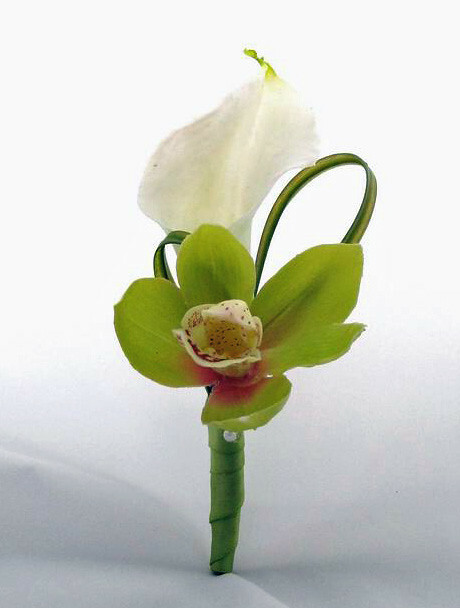 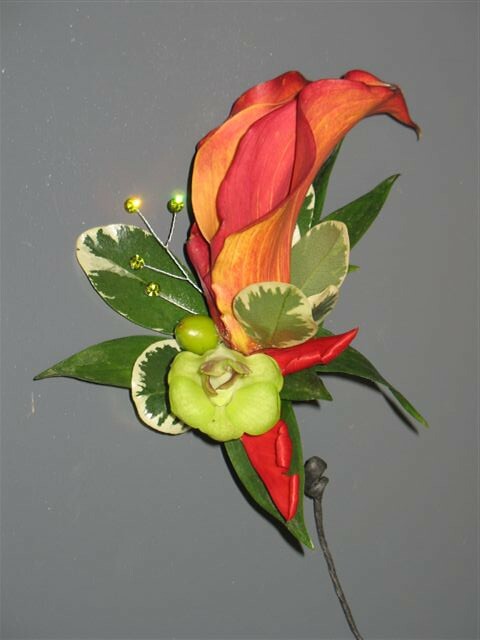 Body flowers have a long and popular tradition for proms and weddings. 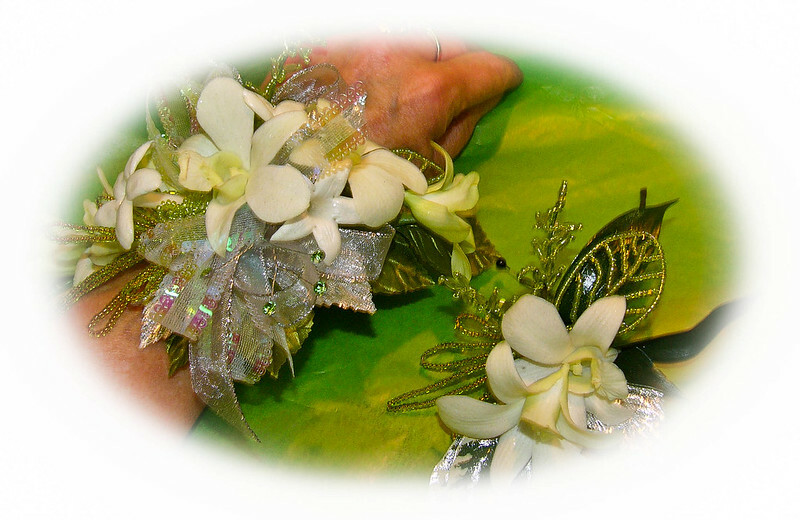 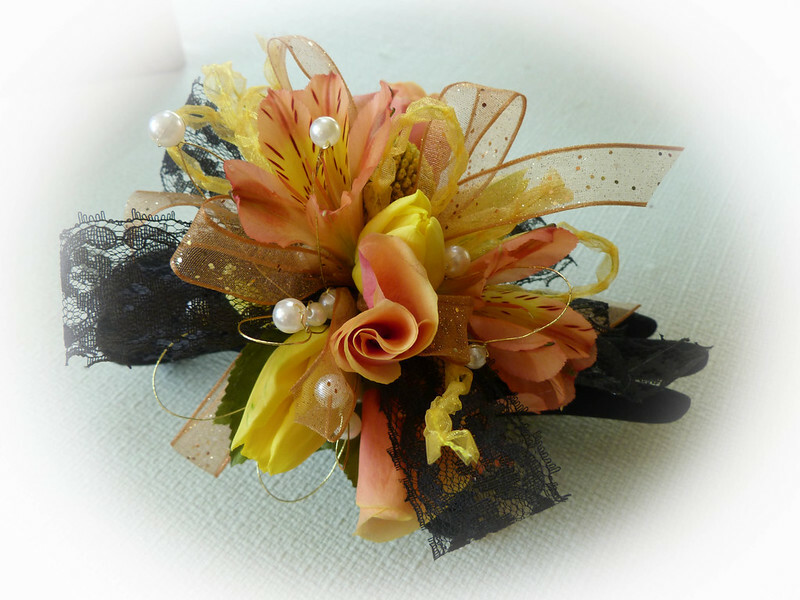 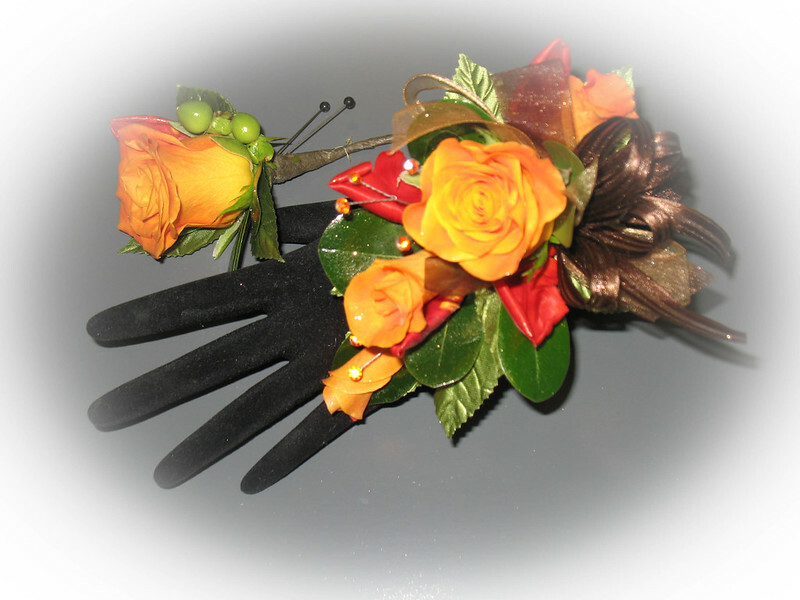 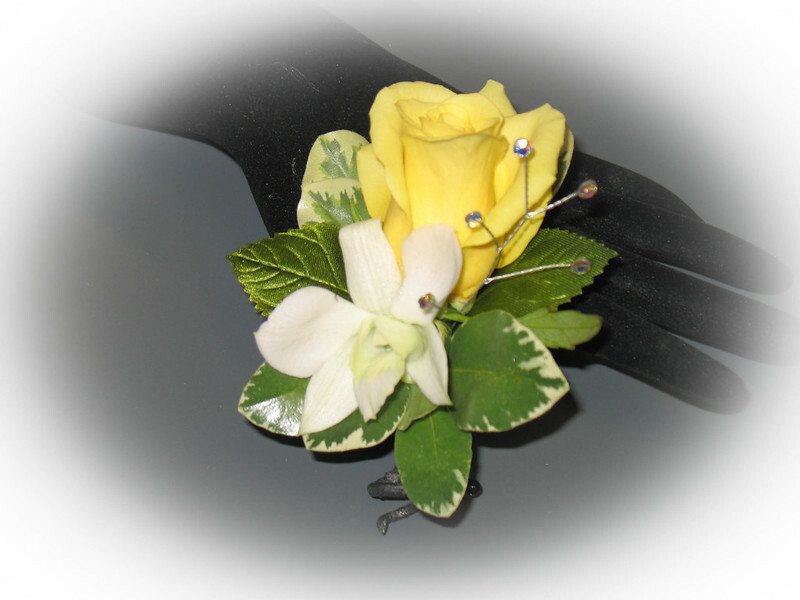 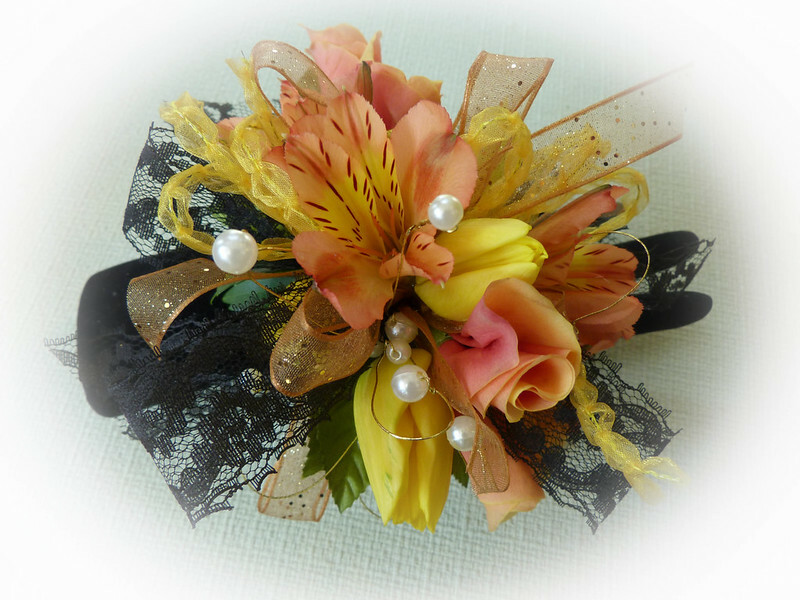 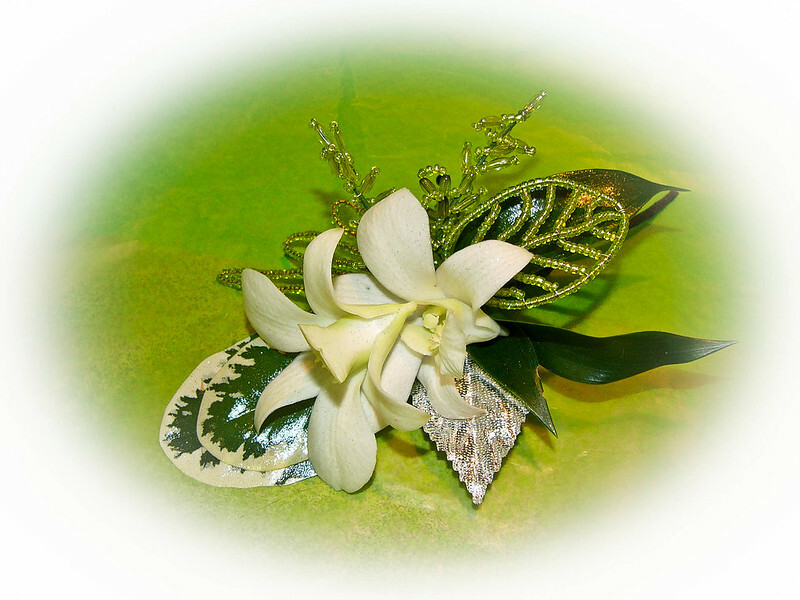 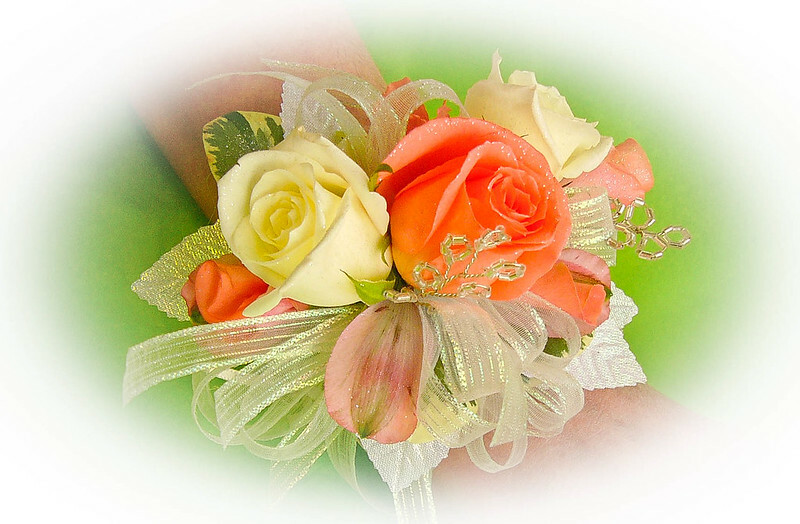 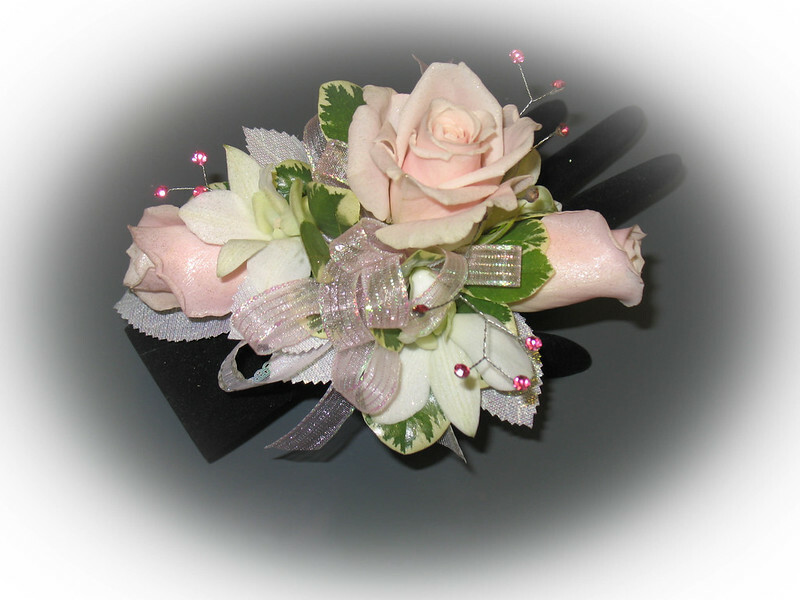 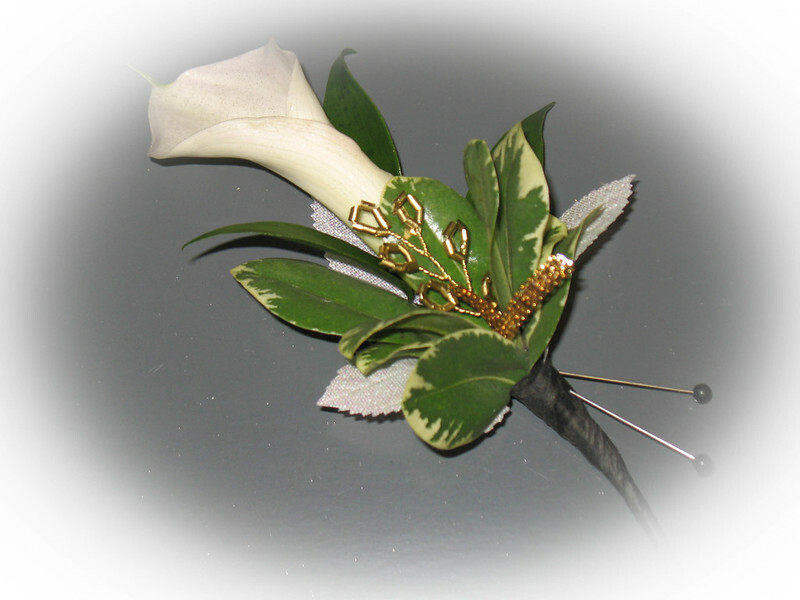 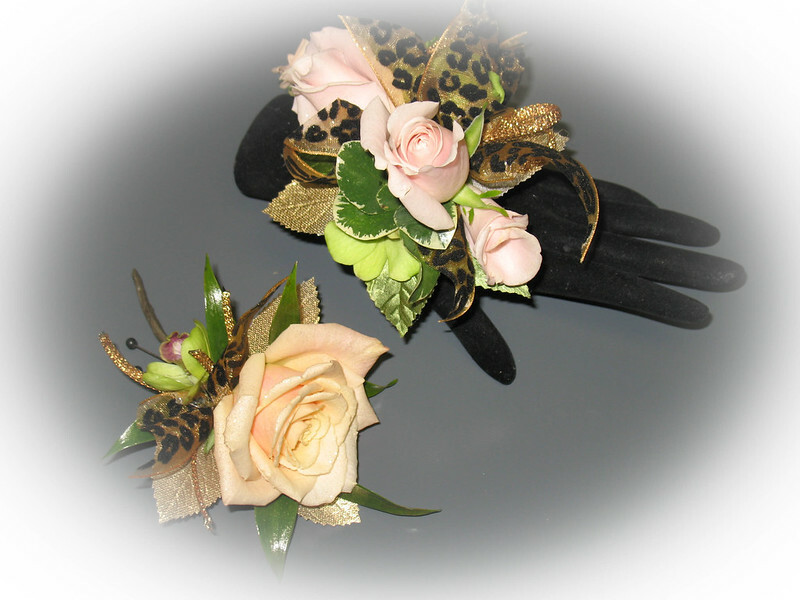 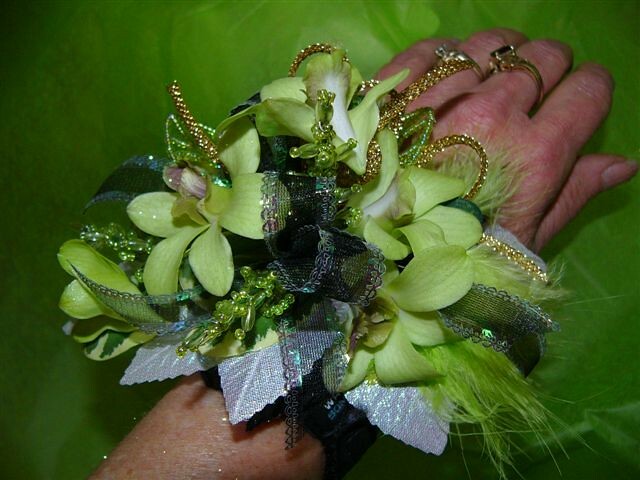 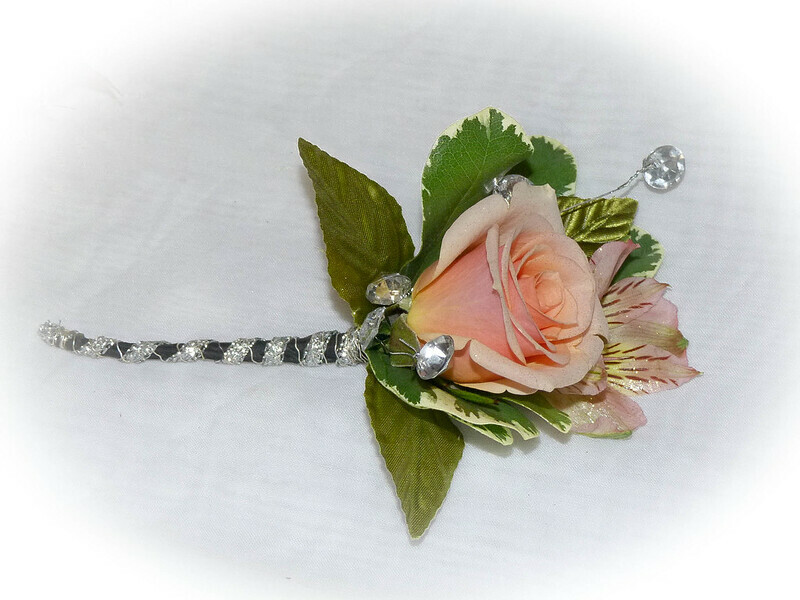 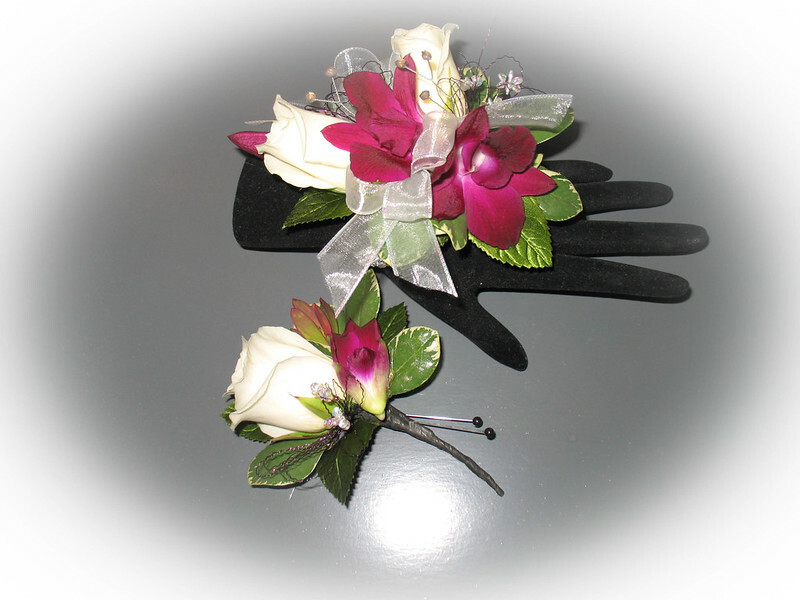 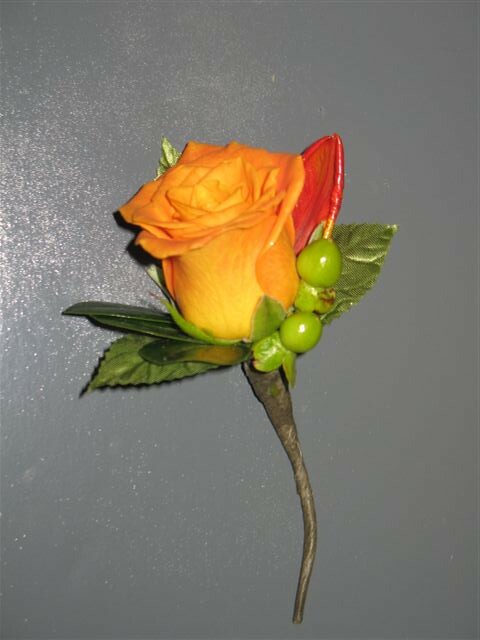 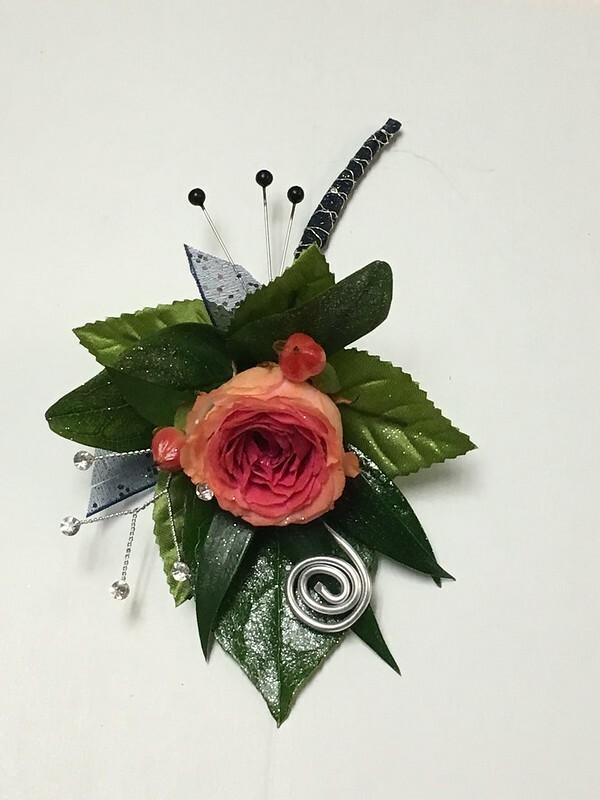 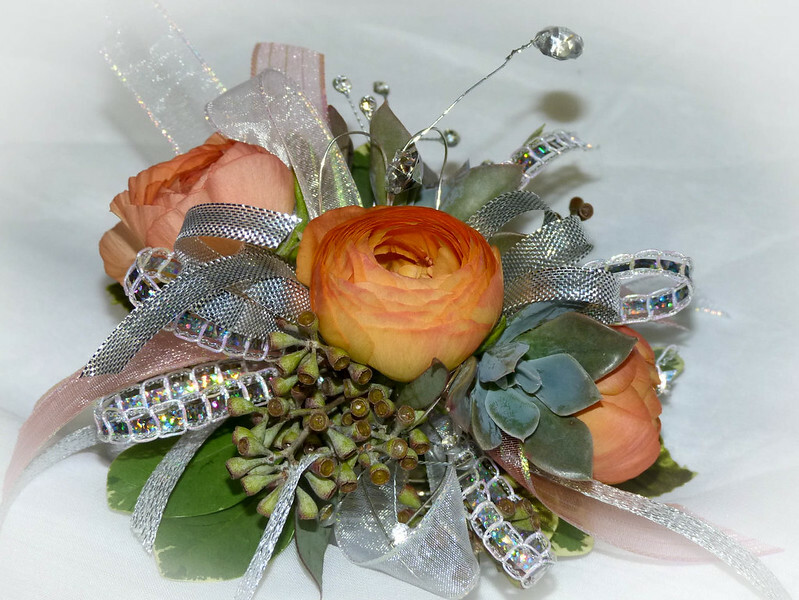 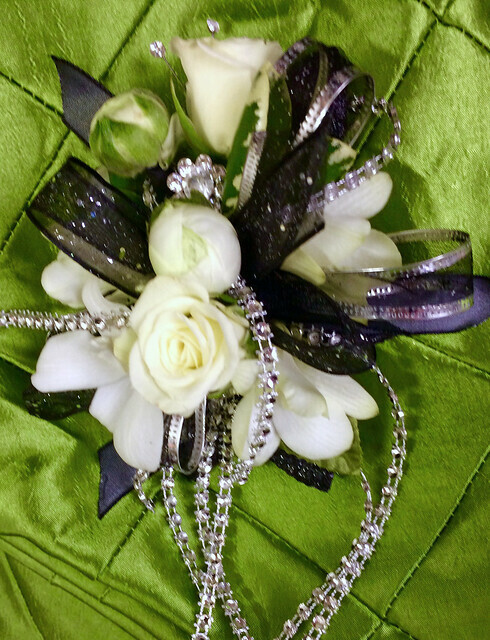 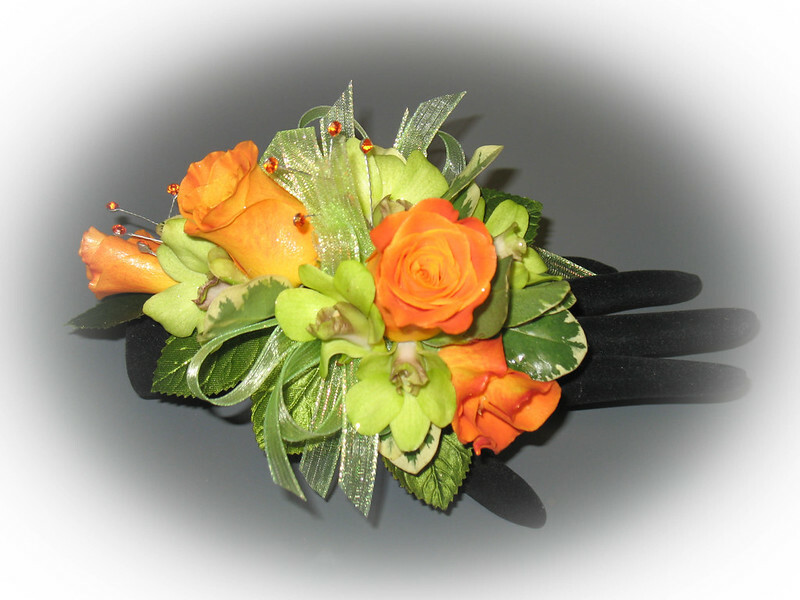 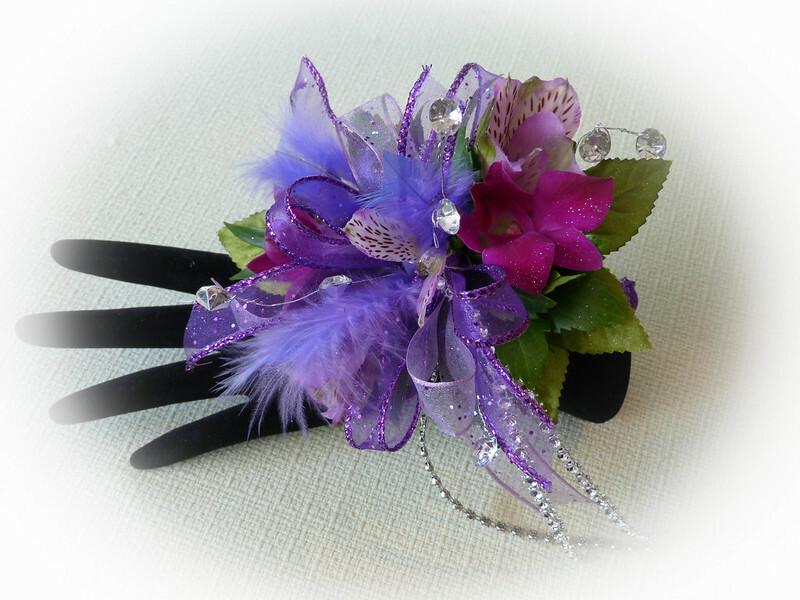 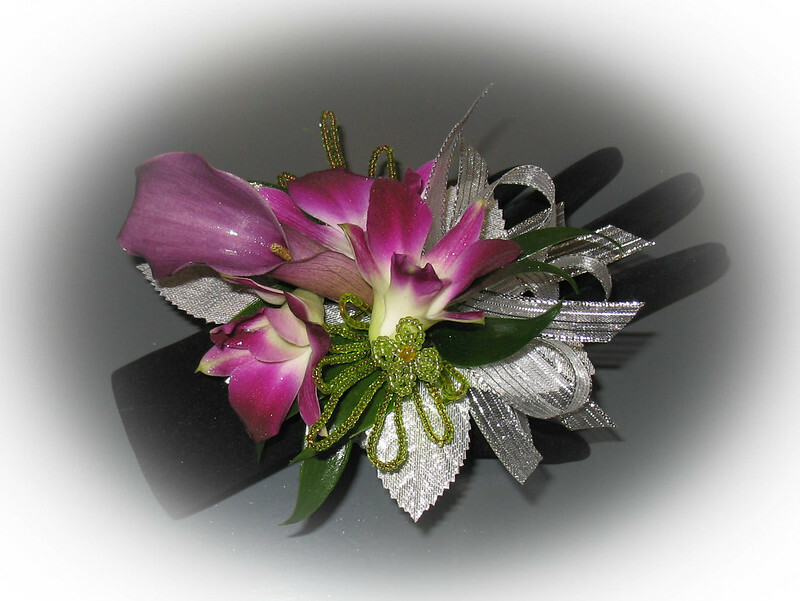 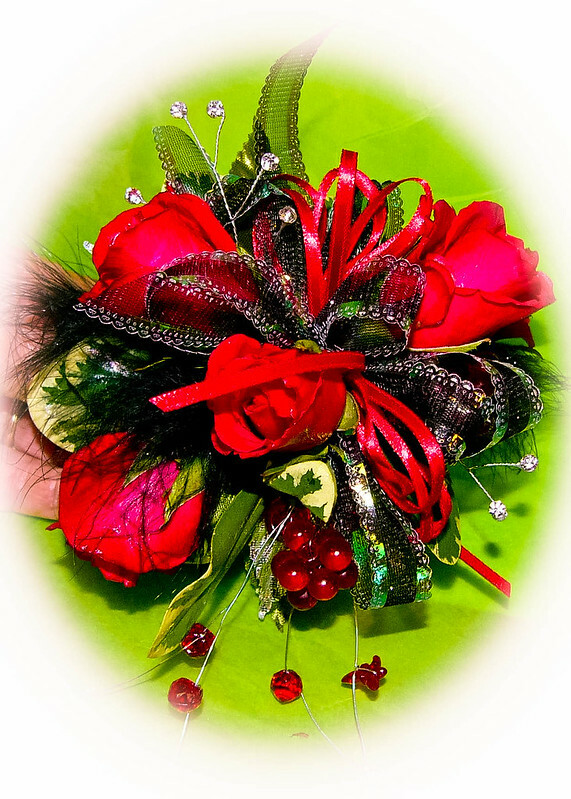 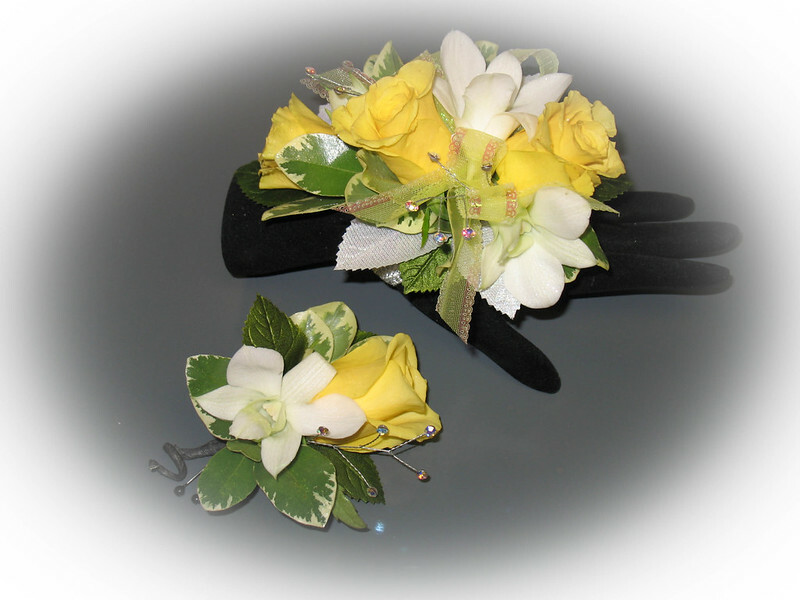 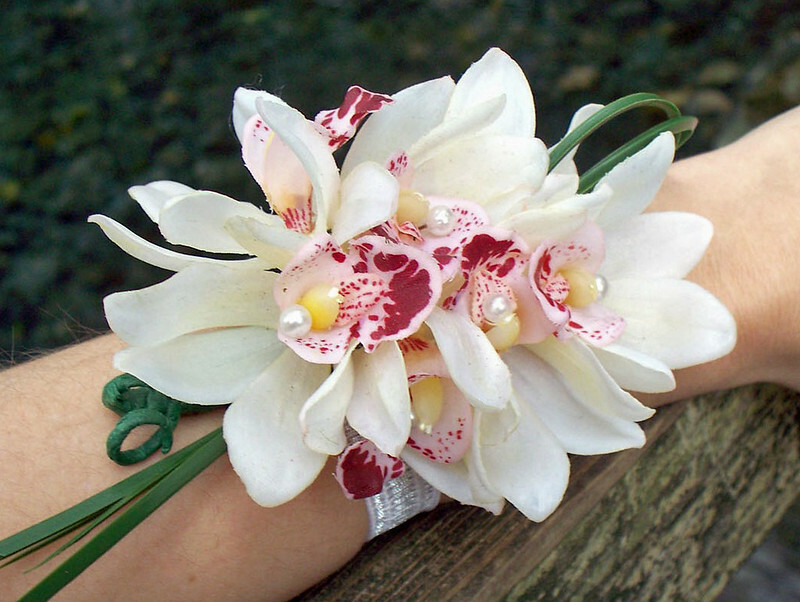 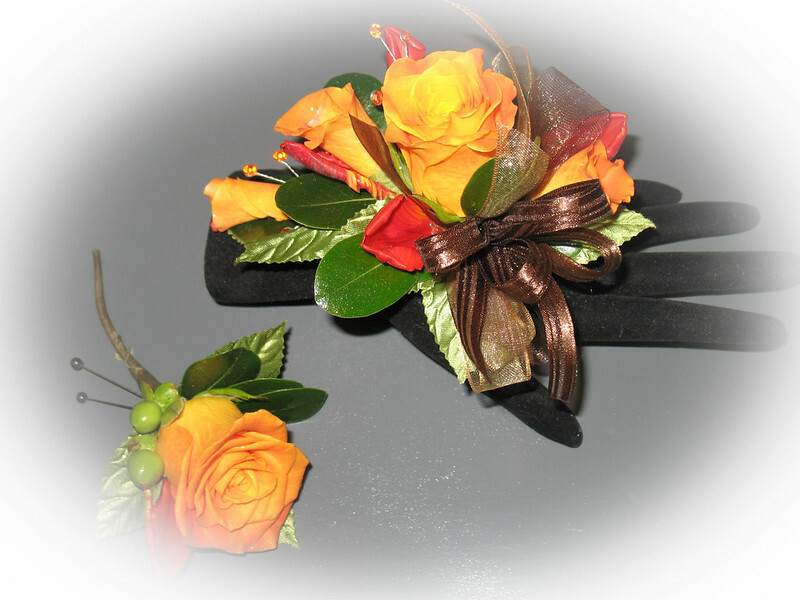 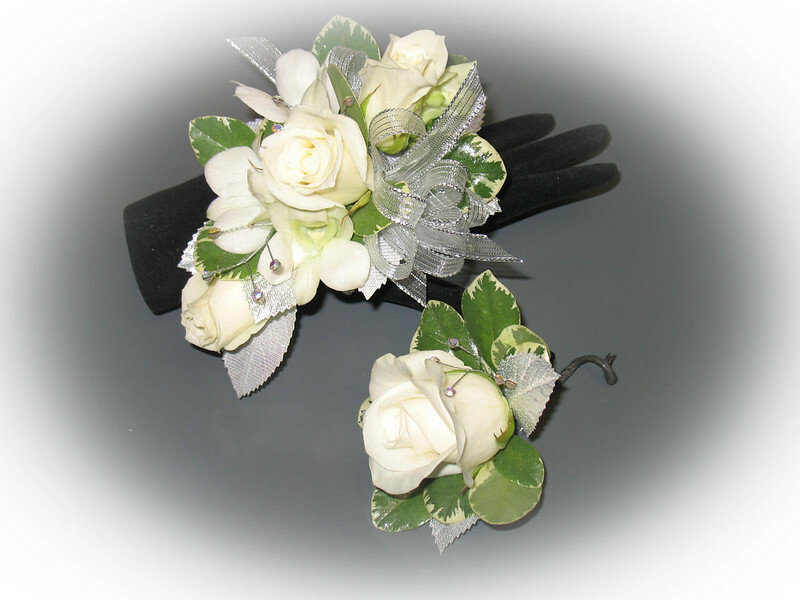 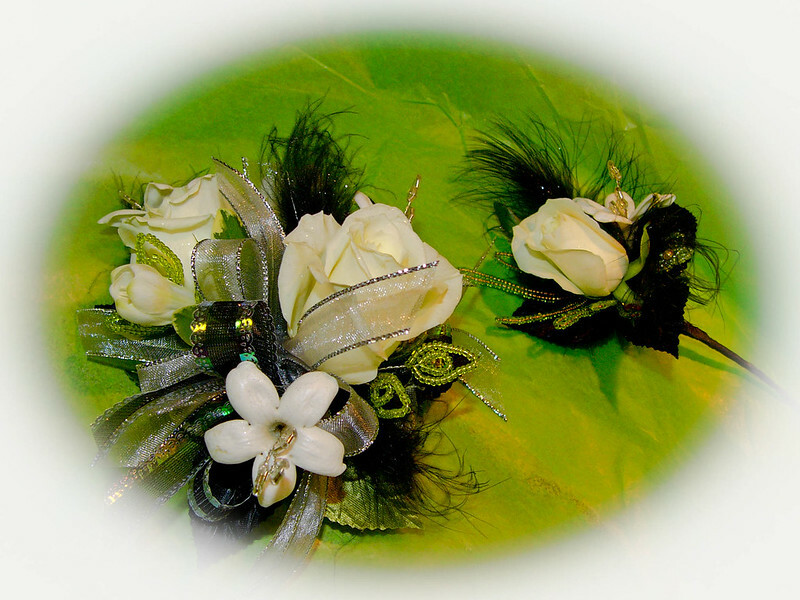 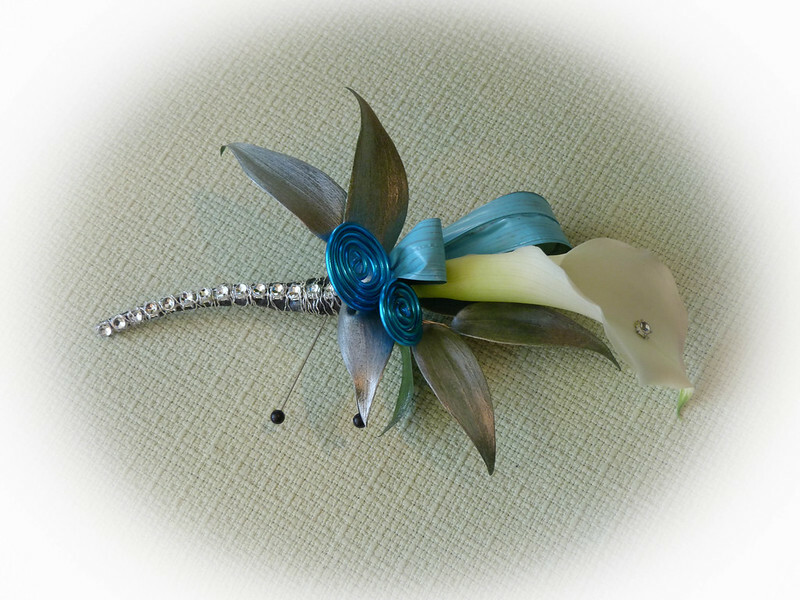 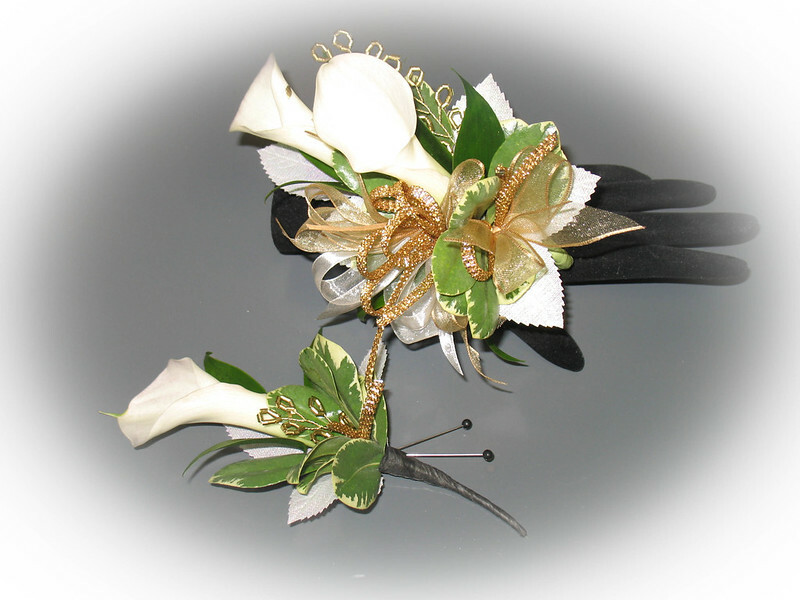 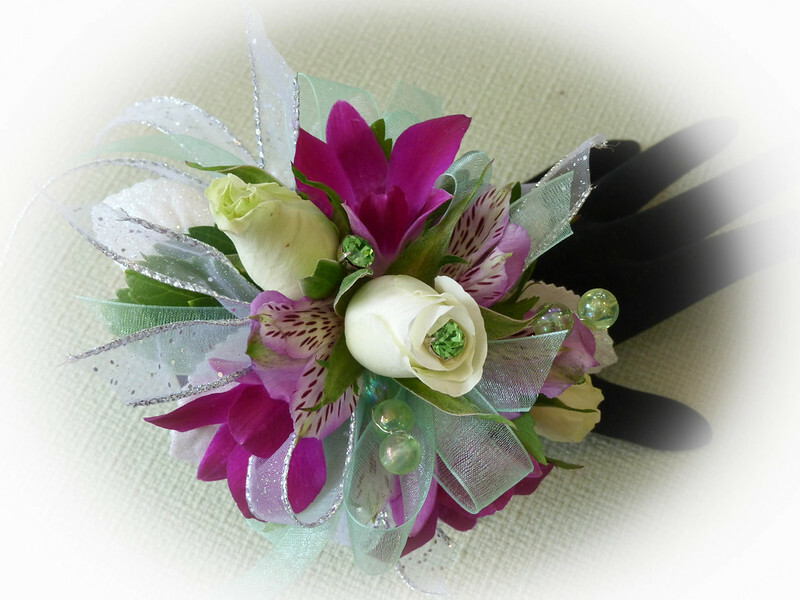 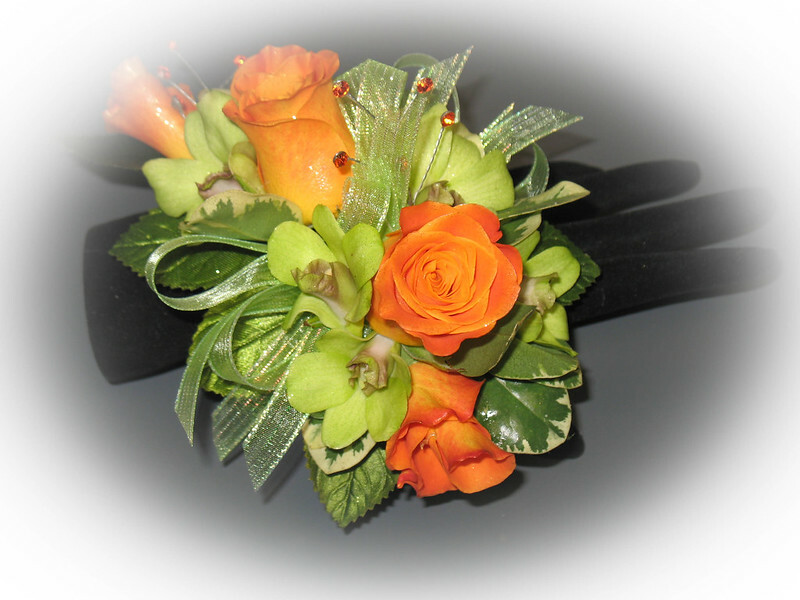 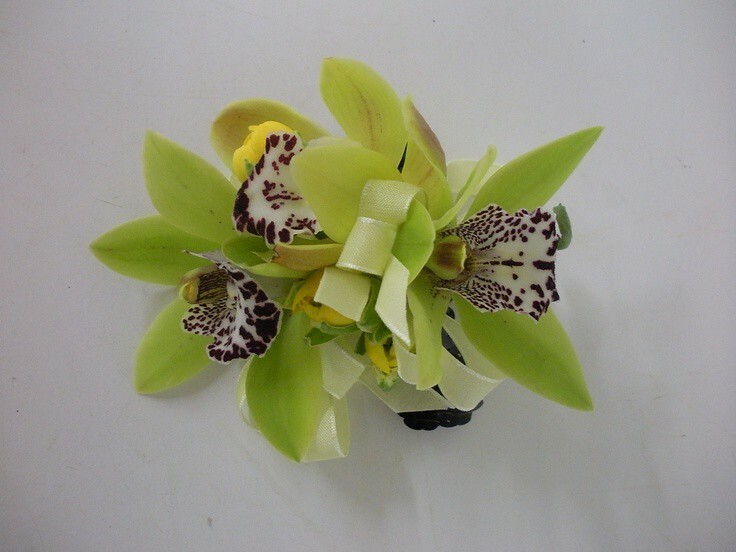 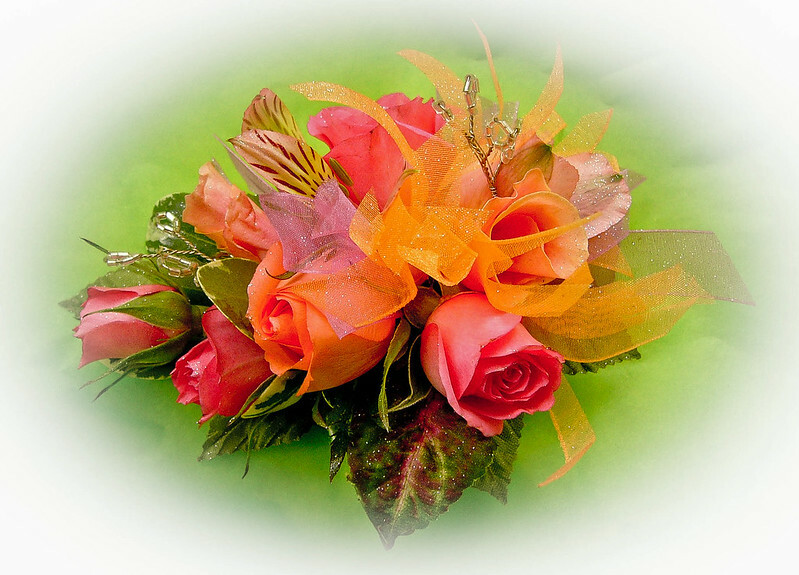 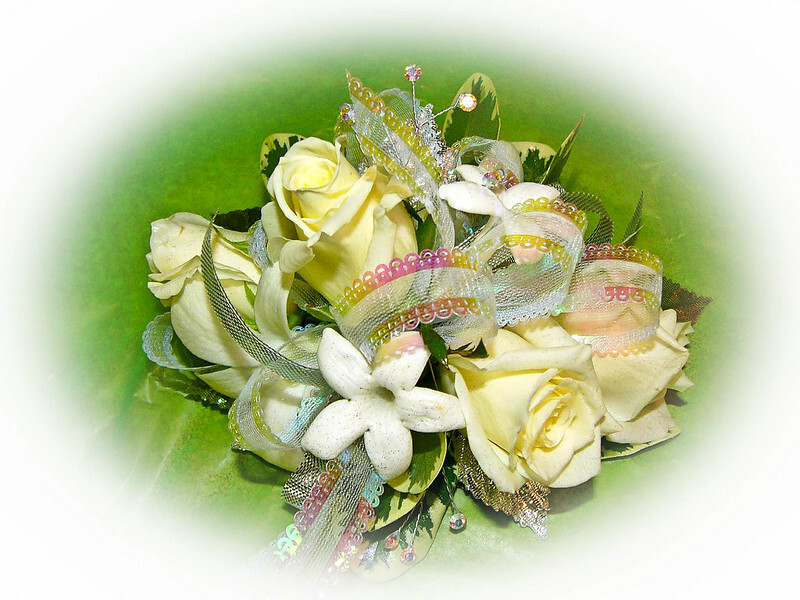 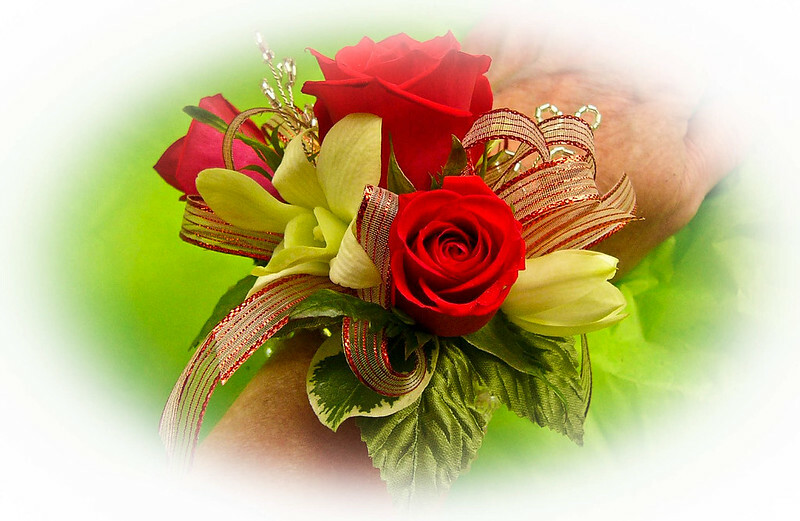 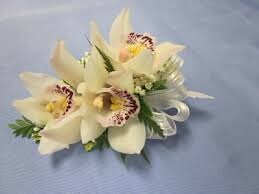 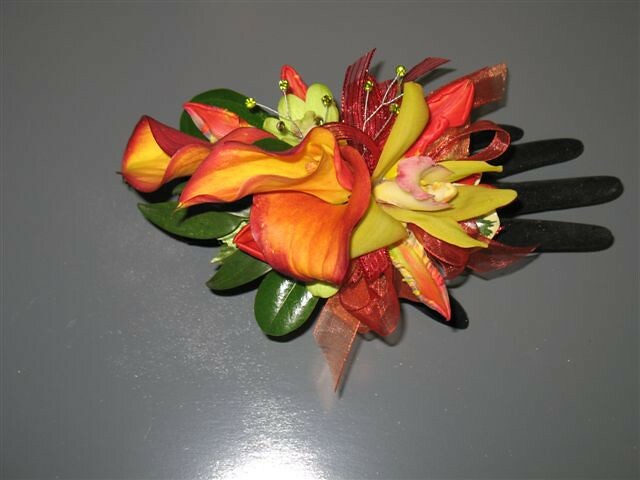 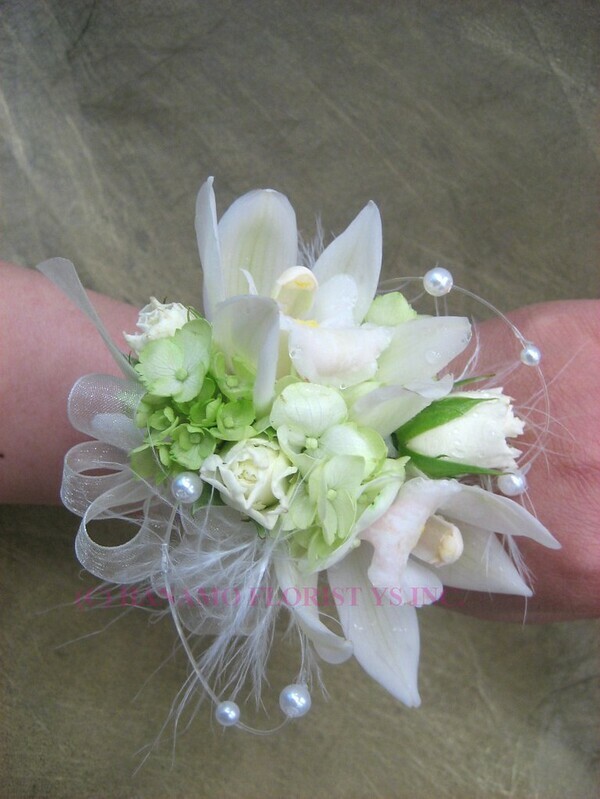 Both corsages and boutonnieres have existed for many years and are integral components of any successful prom. 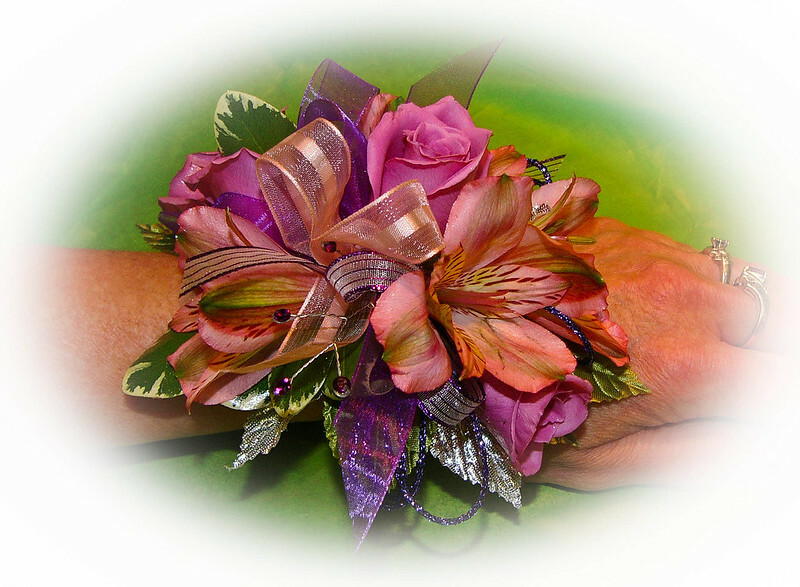 When planning your dress or suit, make sure to coordinate with your date so that your prom flowers match. 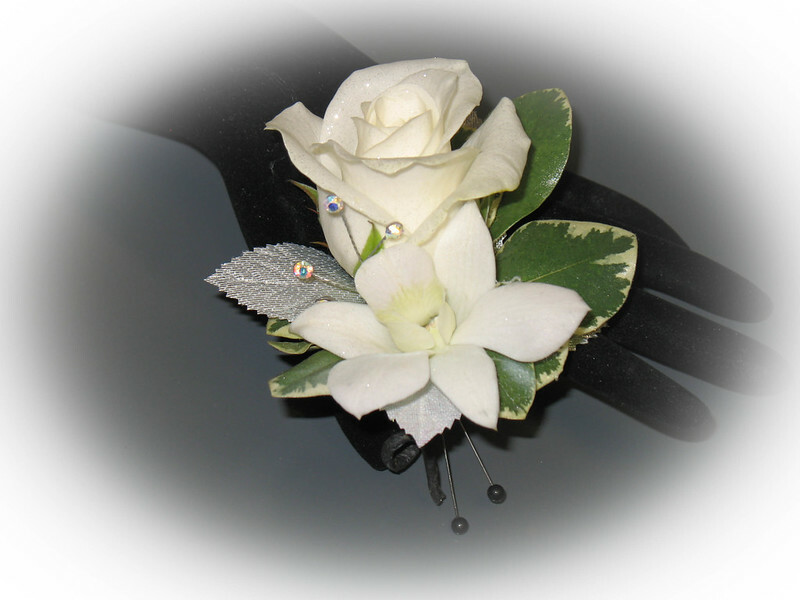 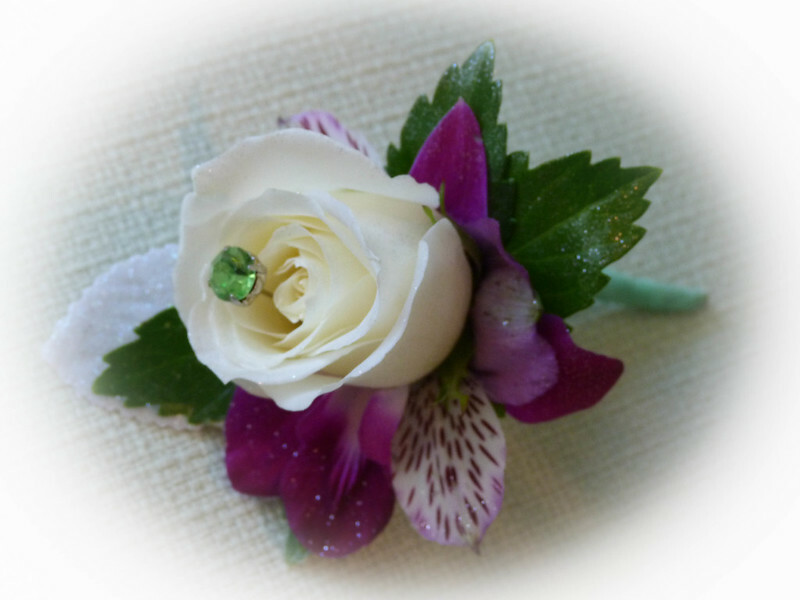 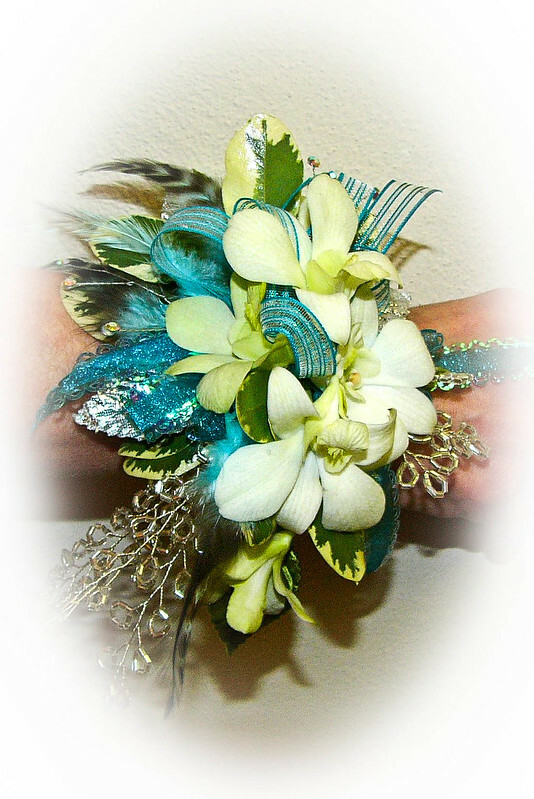 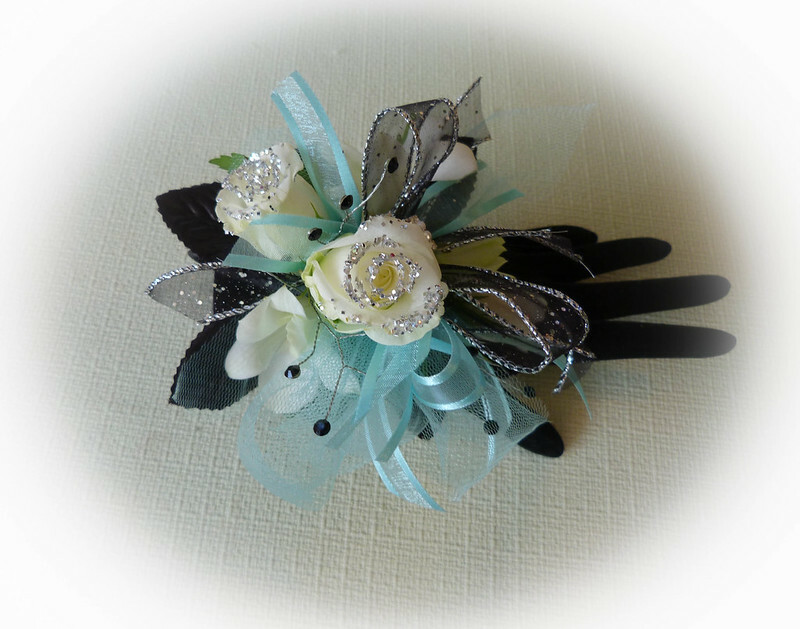 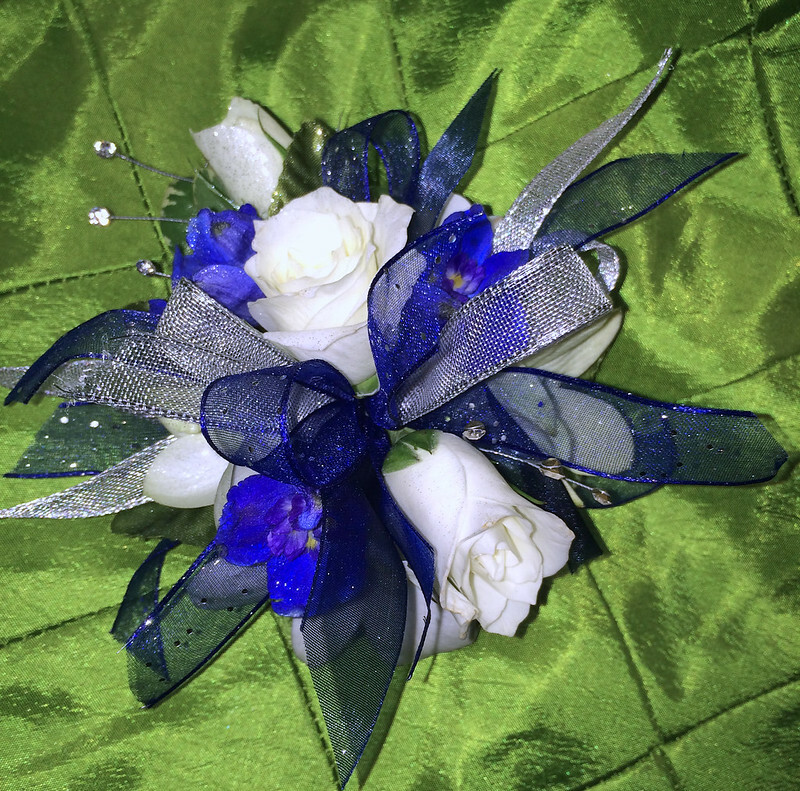 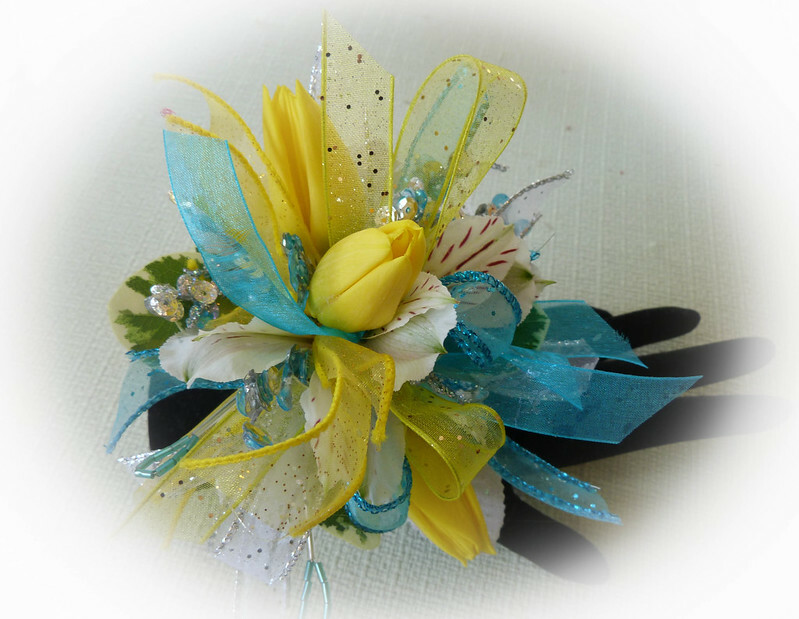 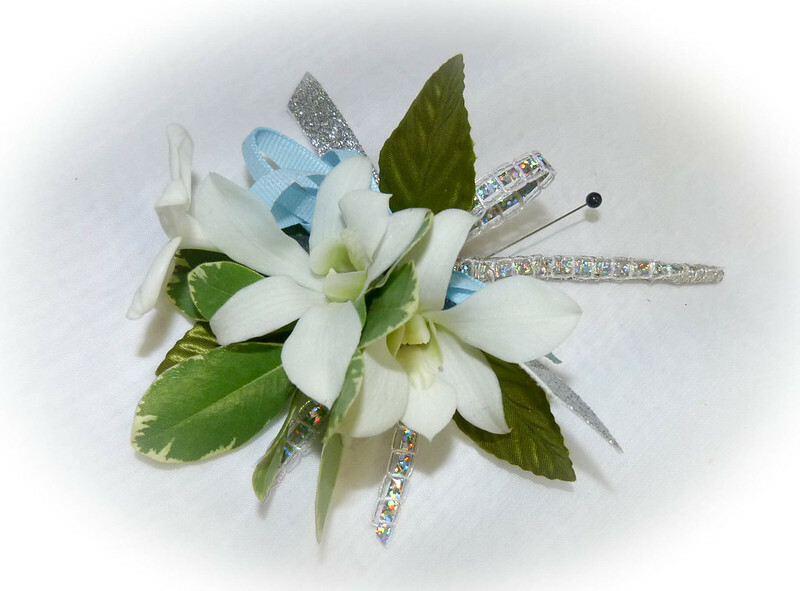 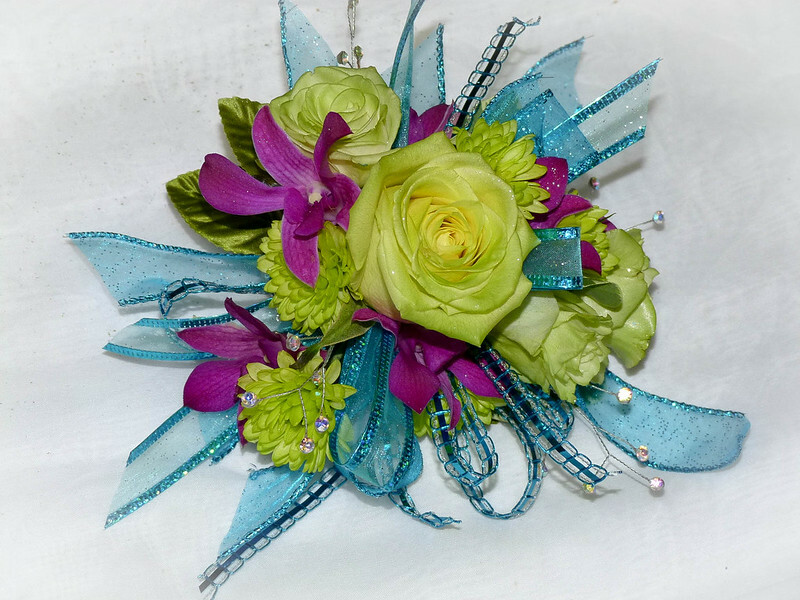 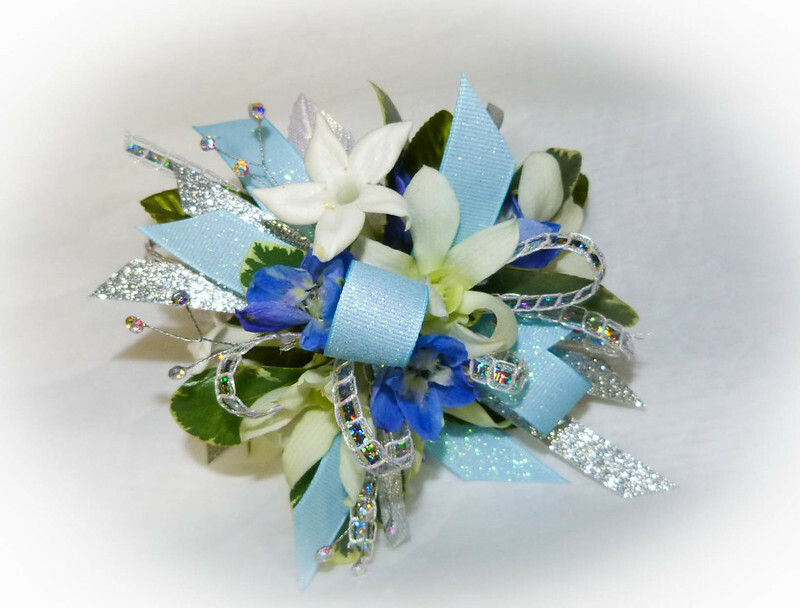 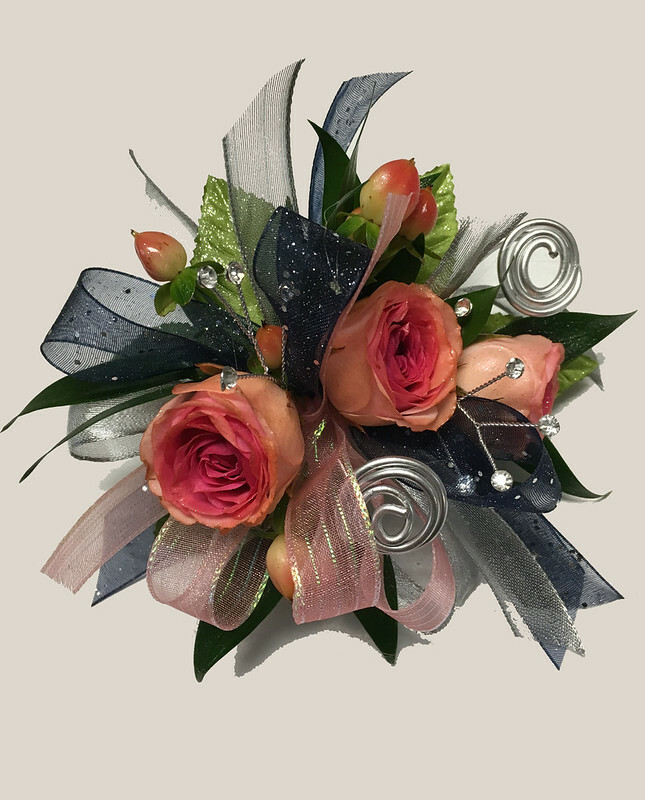 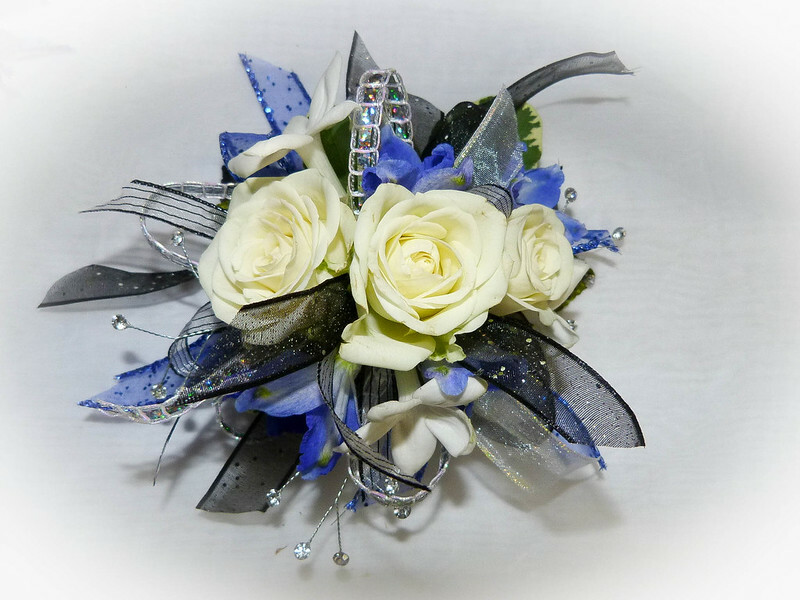 Our goal is to make your prom corsage and boutonniere special and unique! 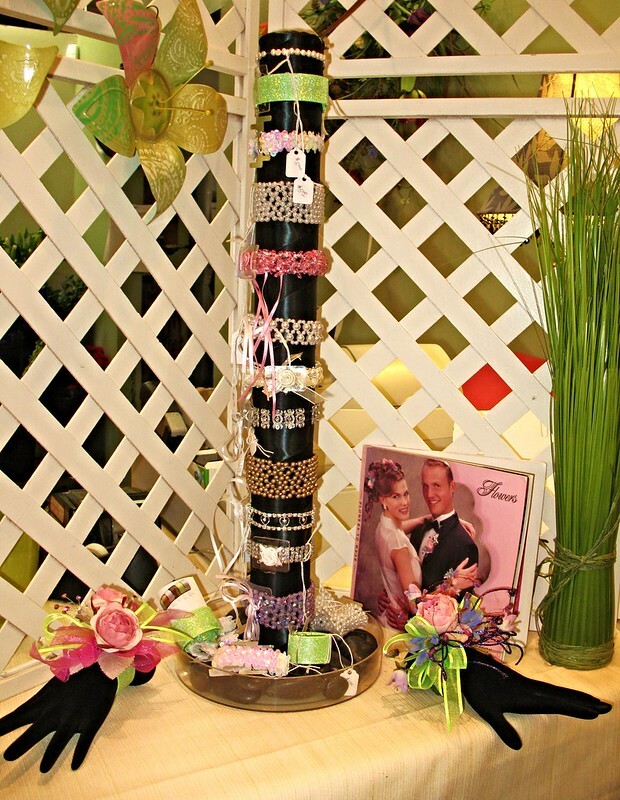 We carry a large variety of wristbands, rhinestones in various colors, pearls, feathers, beads and lots of ribbons to make your purchase fun and unique! 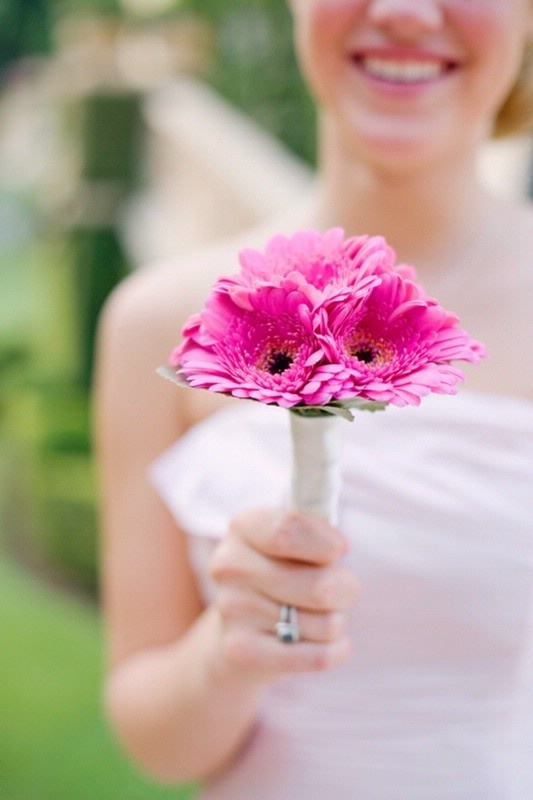 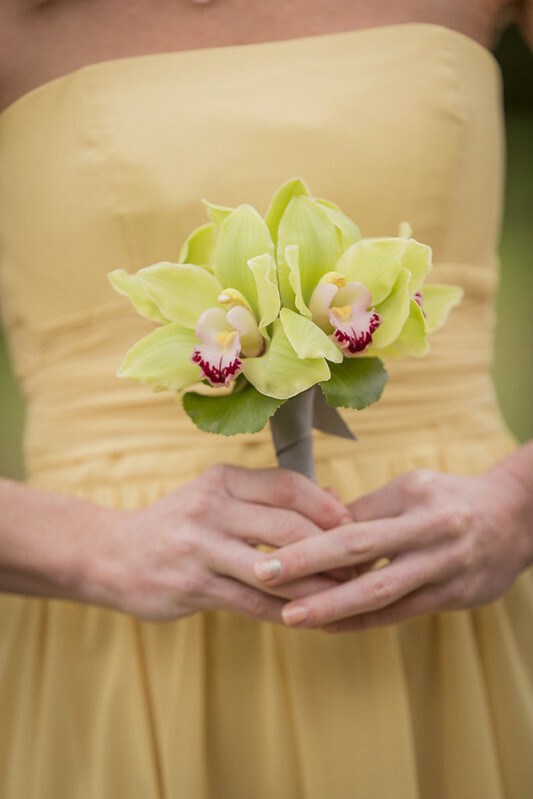 We use a variety of fresh flowers to create just the right color combination for your attire, roses, dendrobium orchids, alstroemeria lilies, calla lilies,and gerbera daisies are among our favorites! 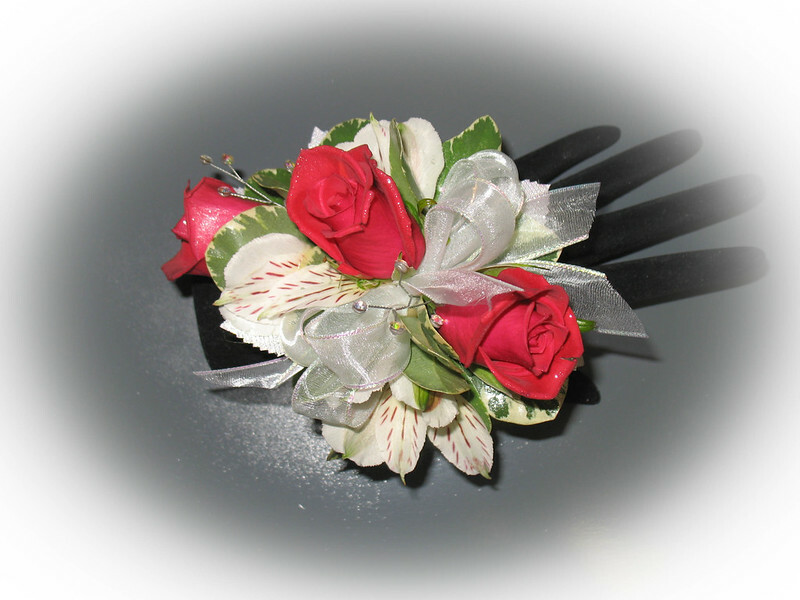 Stop in or call with your order. 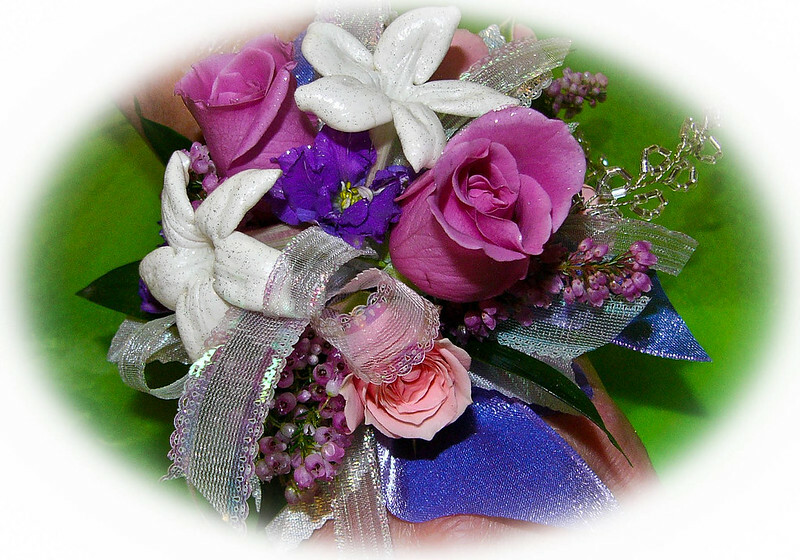 Our phone number is 608-757-1213. 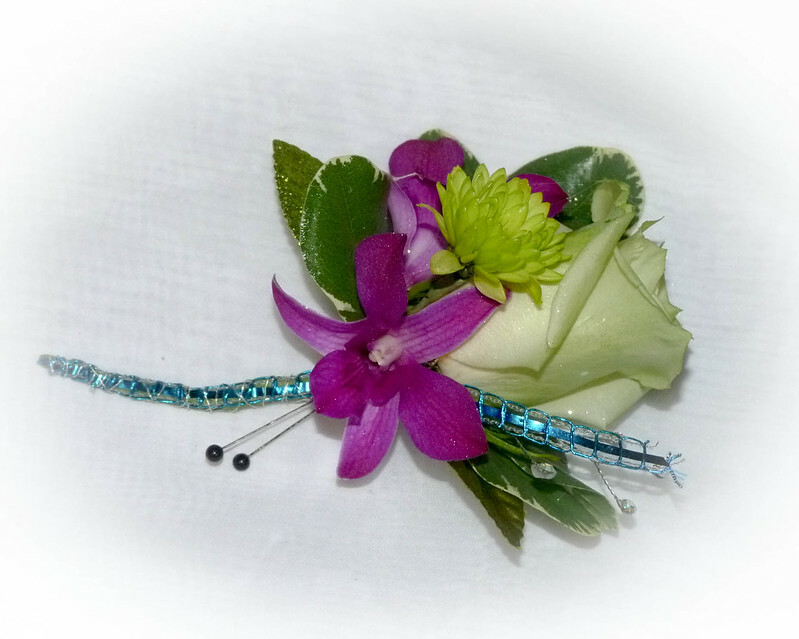 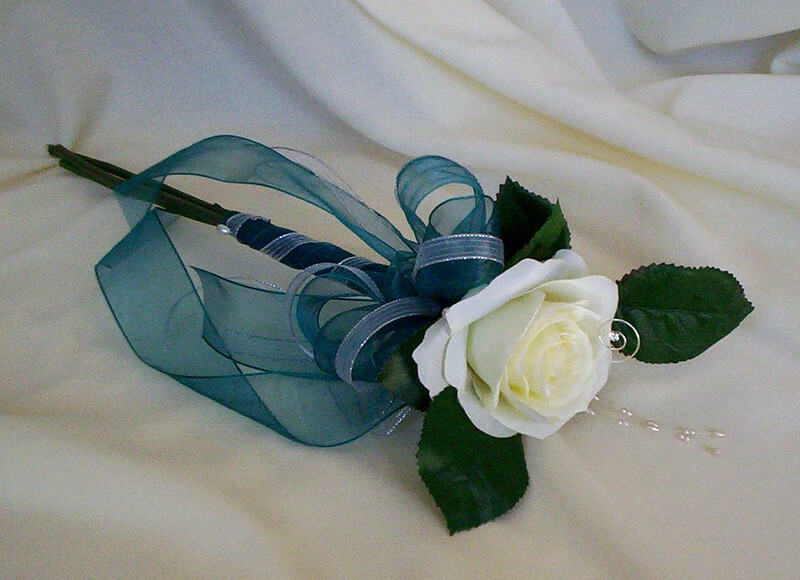 Couples can order their corsages and boutonnieres together so that they will be coordinated for the event! 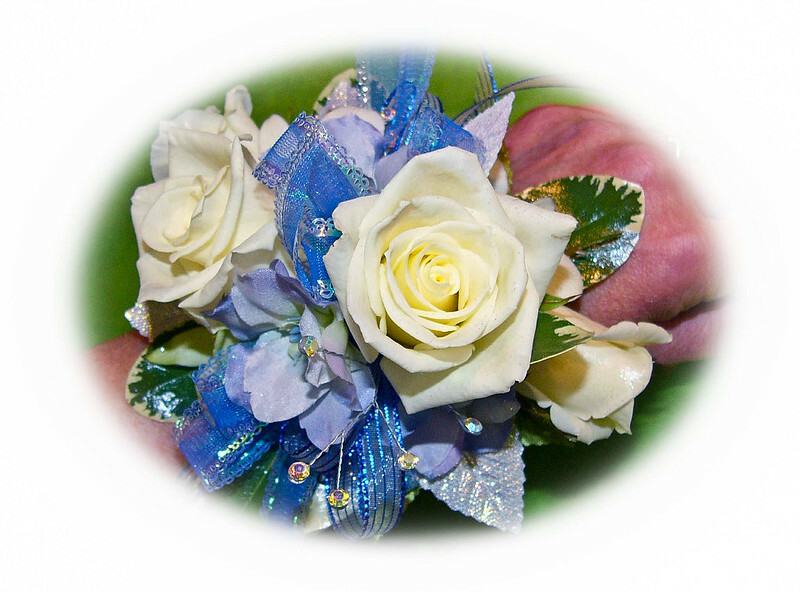 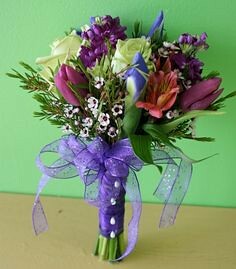 Special offers may be awarded to those couples ordering their prom flowers together! 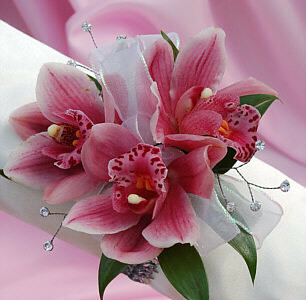 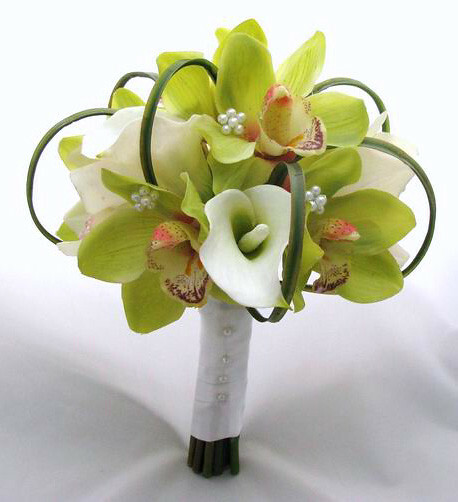 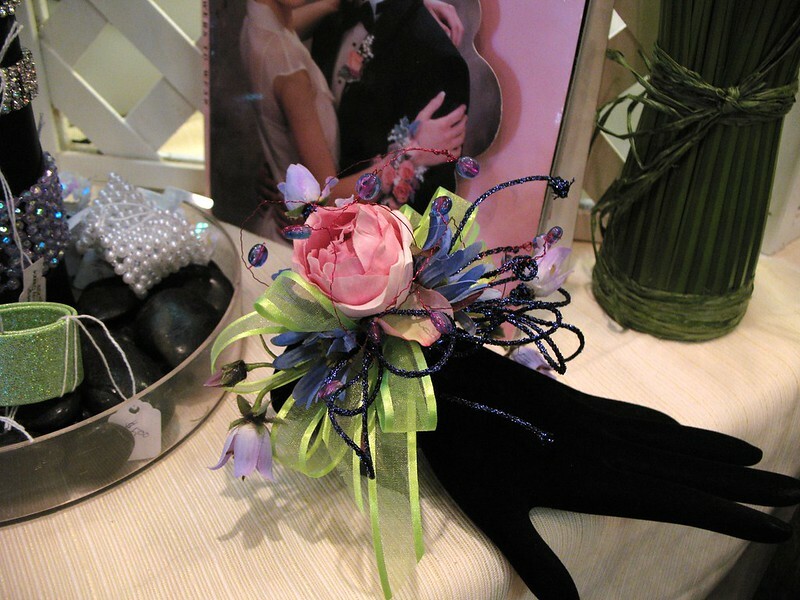 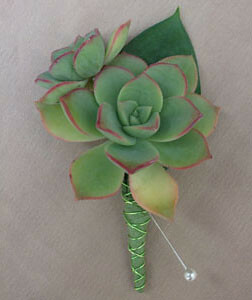 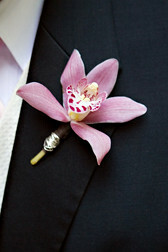 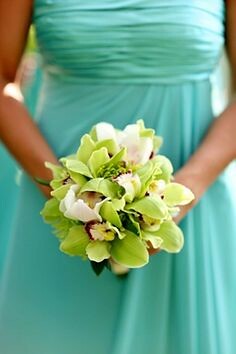 Corsages and boutonnieres are also an intregal part of the Wedding Ceremony. 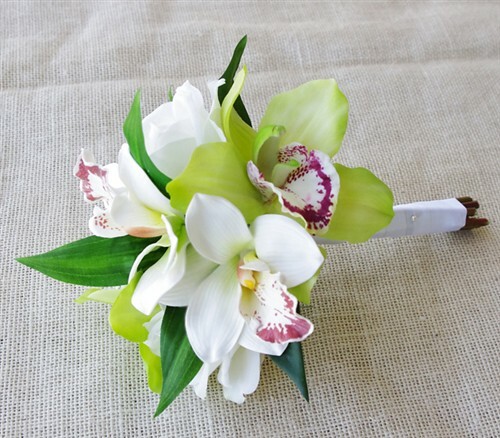 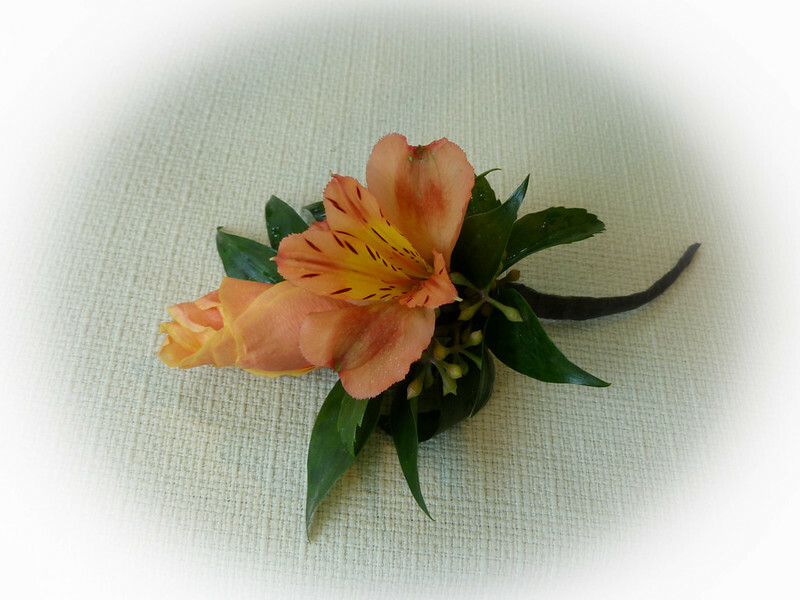 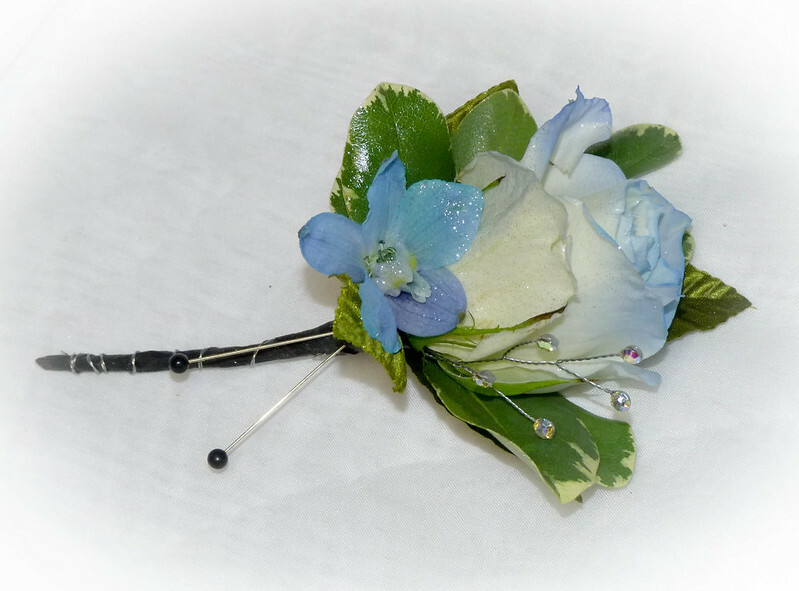 It is traditional for the wedding party Groom, Groomsmen, Ushers, Ringbearer, and special guests to wear a boutonniere complimenting the flowers used in the wedding ceremony. 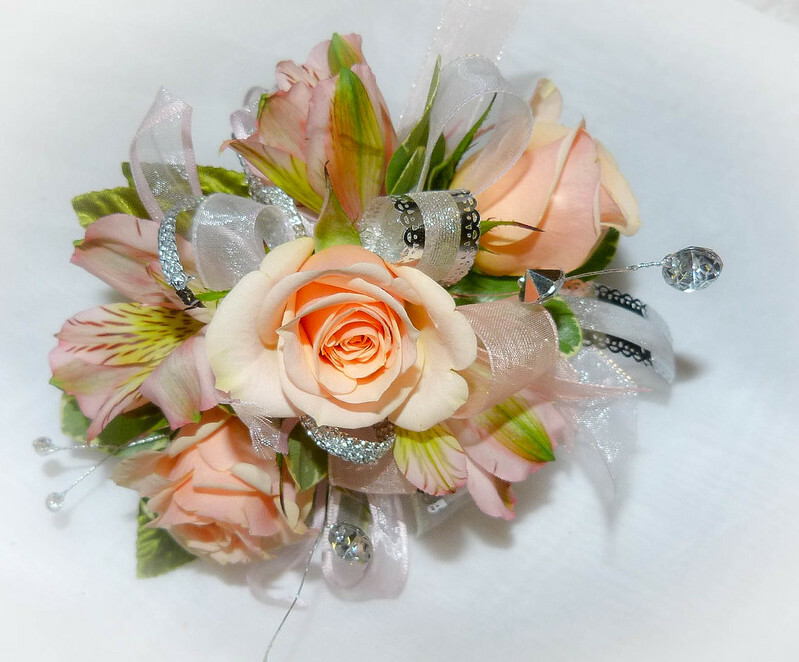 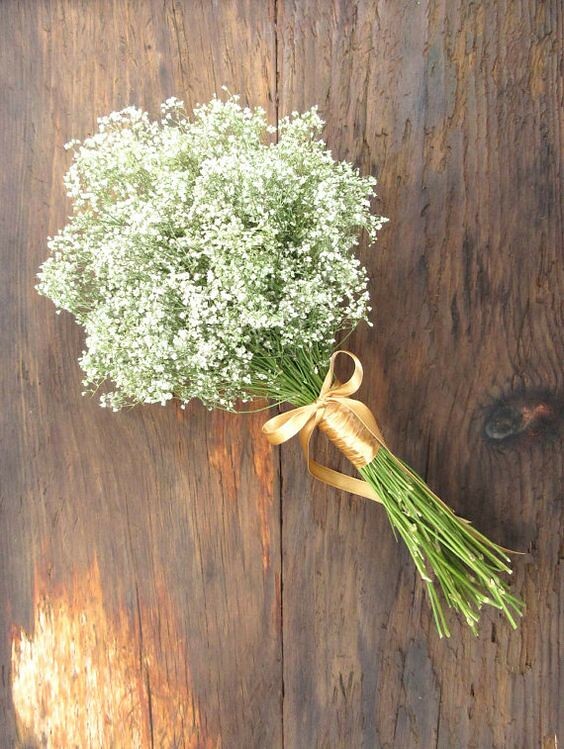 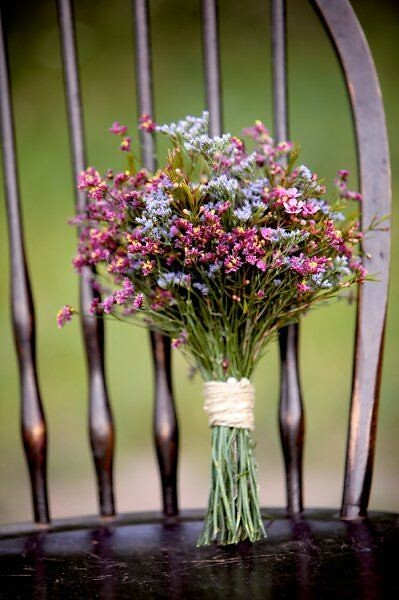 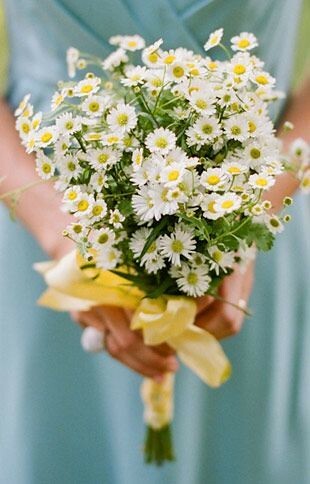 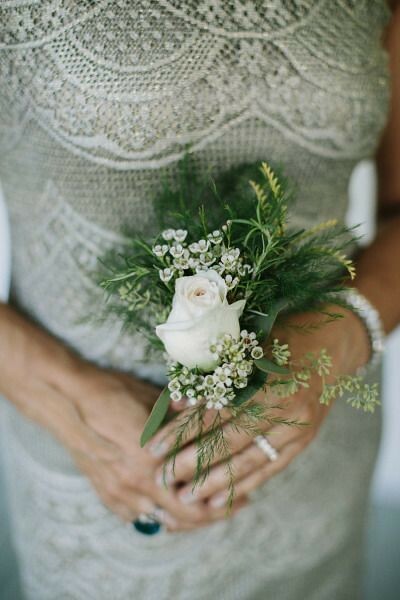 It is also traditional to honor parents, grandparents, personal attendant, guest book attendant, readers, and musicians with a corsage or boutonniere.